Electric vehicles are supposed to make urban transport more environmentally friendly in the future. Using buses for short-range public transportation is a good way of helping to implement this vision: fixed routes and stops make it easier to plan and provide the requisite infrastructure. The main challenge of electric buses: Regular urban public transport buses travel up to 400 kilometers a day without returning to the depot. To supply the electric energy this requires, huge batteries would be needed, for which there is not enough space available in a bus. The alternative is to quickly recharge the vehicle’s battery while it is serving its route – for example, while the bus is waiting at the terminus. This requires high charging capacity. China has built the world's fastest charging electric buses, with a battery that takes barely 10 seconds to be fully charged. 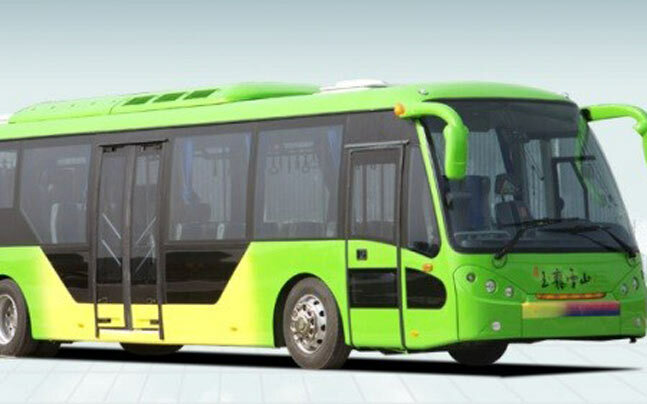 The electric buses, with a battery that takes just 10 seconds to be fully charged, were put into operation for the first time in Zhejiang province's Ningbo city on Tuesday, reported Xinhua. The bus operates on an 11-km route with 24 stops, transport authorities said. In the next three years, a total of 1,200 such buses will be used for public transport in the city, where the electric bus plant is located. The bus recharges while stationary or while passengers get on or off, and each charge enables the bus to run for least five kilometers, according to Zhou Qinghe, president of Zhuzhou Electric Locomotive, a subsidiary of high-speed train maker CRRC.